MANILA, Philippines - Malacañang yesterday reminded Filipinos in South Korea to heed the advisories of authorities on the Middle East Respiratory Syndrome Coronavirus (MERS-CoV), a viral respiratory illness first reported in Saudi Arabia. “We urge all Filipinos in South Korea to take all necessary precautions against the Middle East Respiratory Syndrome Coronavirus, considering reports that a number of South Koreans were found to have been infected by the disease,” Presidential Communications Operations Office Secretary Herminio Coloma told government radio station dzRB. 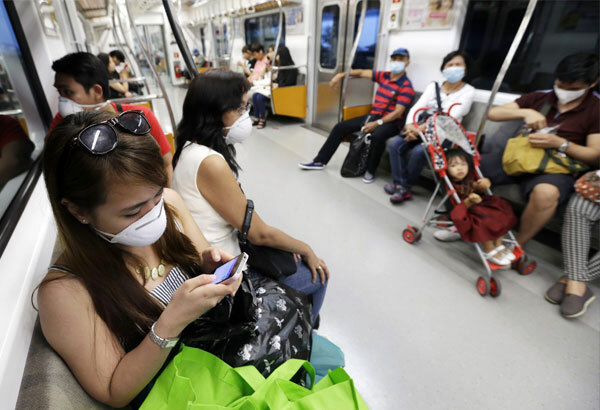 “Although there is no outbreak of MERS-CoV, our Philippine embassy in Seoul had issued an advisory regarding preventive measures that should be taken by Filipinos while in South Korea,” he added. Coloma said such precautionary measures include proper hand hygiene and avoiding contact with farm and domesticated animals. He also stressed the need for health workers to strictly follow infection control protocols and comply with local health regulations. “The government, through the Department of Foreign Affairs, continues to monitor the situation in South Korea closely,” he said. The symptoms of MERS-CoV include fever, cough, shortness of breath, breathing difficulty and diarrhea, according to the health department.